Lupe Fiasco addresses his city's high murder rate in the video for "Old School Love." 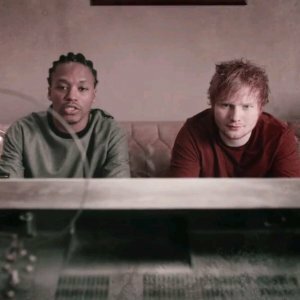 Featuring Ed Sheeran, the track will be included on Lupe's upcoming album Tetsuo & Youth. In the video, the two artists watch the saddening news coverage of crime, making them want to go back to happier times. Scenes of children playing together without worry are shown, giving a different picture of Chicago from the violent one new rappers from the city have painted. Addressing the serious issue, Lupe raps "Chi-Raq summer looking so cruel, look shorty in the eye, told me it was 'no rules.'" Tetsuo & Youth is scheduled to be released next year. Listen to “Jonylah Forever,” a tribute for a child murdered in Chicago earlier this year, here on Zumic. For more content on Lupe Fiasco, visit his artist page here.